Give yourself a boost against the toughest opponents with BUST Codes 13 and 14. They help you recover from damage faster. To have a box-a-thon like in the old days, set the round length at a hair under 10 minutes with Code 7, and select 19 rounds per bout using Code 22. For Codes 8 thru 11, the referee still signals 10 on the last count, but the count will be shortened according to the code. Experts, try Code 12. 1 To listen to all the sounds and music in the game, press Start on controller 2 at the Game Select screen. 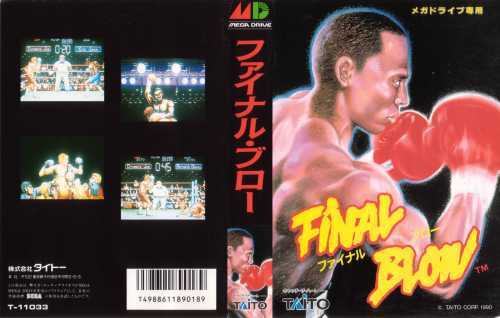 1 Continue Fight To have a rematch against any boxer, press Up, B, and Start together. 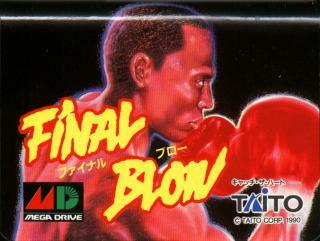 This allows one rematch against each boxer. 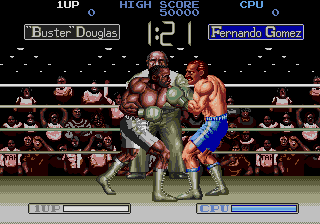 little more than a side-view Punch Out clone. 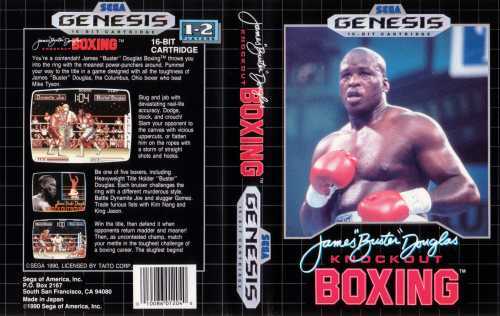 This is the worse boxing sim I have ever played on a G�nesis. The graphics are terrible, the sound is bad and tend to irritate after a while. 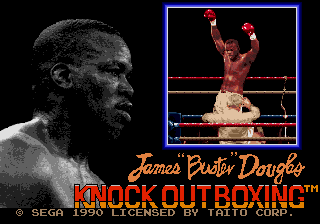 Also you have only five boxers to choose, and you can�t create your own boxer. Please avoid playing this one!!! 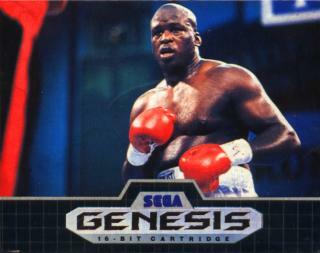 bought the genesis, in the first place. 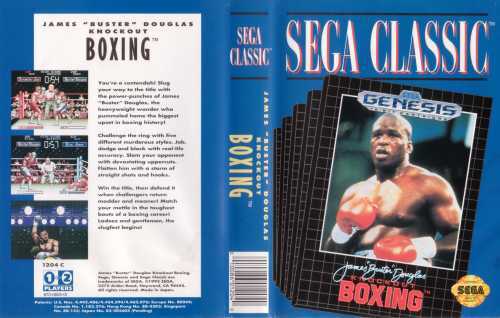 The worse boxing game on the Genesis. Good graphics, but bad gameplay and a lack of options. 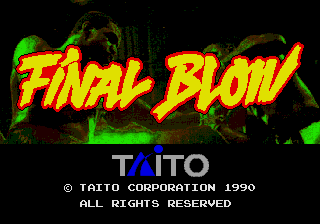 A perfect port of the Arcade version, which isn't saying much.